A pedestrian was seriously hurt when he was hit by a vehicle on Rubber Avenue in Naugatuck Wednesday afternoon and police said the man who hit him is suspected to have been driving under the influence. 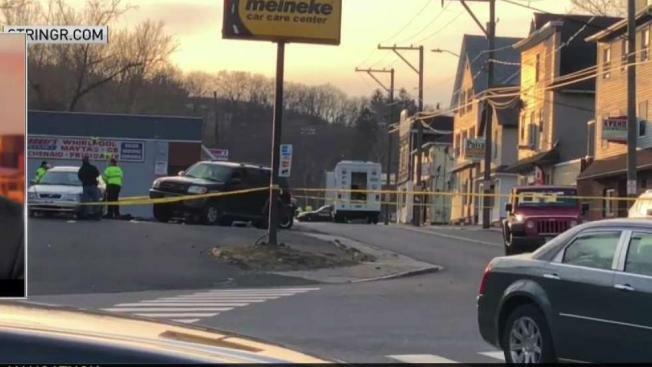 Naugatuck police said they received several calls around 3:49 p.m. Wednesday that a person had been struck in the Meineke parking lot at 144 Rubber Avenue and officers found a 58-year-old Naugatuck man with serious injuries. He was transported to St. Mary’s Hospital. Police identified the driver as 53-year-old Domingos Teixeira, of Naugatuck, and took him into custody. A report from Naugatuck police says officers developed evidence at the scene that he might be under the influence. Teixeira has been charged with second-degree assault with a motor vehicle while intoxicated, driving while under the influence, reckless driving and drinking an alcoholic beverage while driving. He was held on $100,000 bond.